"Like a torrent into the dark land..."
CD comes in digipak and with 20-page booklet. This studio release is dedicated to the Lonely Pilot. Lost in storm clouds, lost in the desert, or lost amongst men these heroes followed the path into eternity. Close to the sun, close to their gods, with wings of steel they became immortal. The CD is a sonic homage to these lonely falcons struggling with the elements, observing nature, acting in silence. Acoustic tracks with guitars, accordion, violin, violoncello, bass, and drums presenting English and German vocals express the emptiness of a soul lost in the heights of the skies or in the depths of the desert. The CD comes in a digipack with 16-pages booklet. Also released as gatefold LP, limited to 500 copies with golden coloured vinyl. "Schicksalsfahrt" is dedicated to the life and death of Antoine de Saint-Exupéry & Amelie Hedwig Beese. Lyrics for "Fliegergedicht" based upon "Ein Fliegergedicht" by R.W. Schulte. Lyrics for Flughymne" based upon "Flug-Hymne" by C. Rahm. Lyrics for "Der Letzte Flug" based upon "Einer geht wohl ins Sterben..." by R. Westermann. Lyrics for "Nightwind" based upon "The Night is Darkening around me" & "The Wind I used to Hear it Swelling" Emily Brontë. 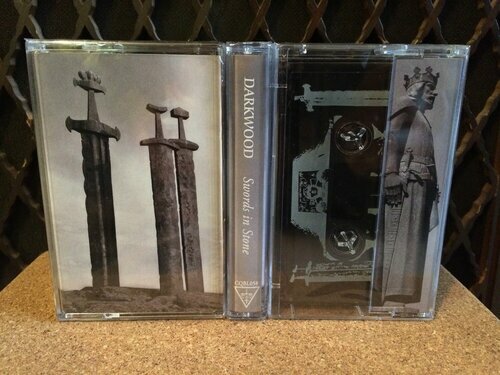 The gentle and majestic folk stylings of the band Darkwood are already familiar to most of our patrons. Since 1999, the Dresden-based act have accomplished a steady stream of albums which have garnered high praise in the Neofolk and post-Industrial underground. Under the direction of singer-songwriter Henryk Vogel, Darkwood has created a consistent, disciplined and exquisite repertoire. Mainly built up around the soft acoustic guitar strums and evocative voice of Herr Vogel, the Darkwood sound is often augmented by subtle accordion, violin, cello, flute, vocal harmonies and percussive arrangements. While primarily occupying the classic and well-worn Germanic campfire sound, Darkwood periodically frequent the realms of martial fantasy while maintaining their signature atmosphere of serene stateliness. Brave Mysteries are very pleased with this opportunity to present these recordings as they are both nostalgic and timeless, finding tranquility in conflict while waging a peaceful innocence in an age of disruptive modernity. Featuring songs from throughout their career, this collection can be seen as both a retrospective and a rarities compilation. Many tracks on display are alternate mixes and unreleased versions appearing here for the very first time. 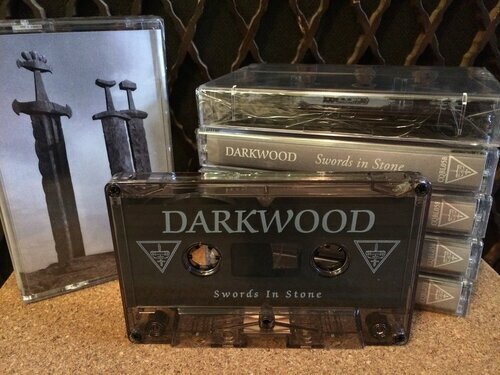 This tape is limited to 200 copies, and it is especially manufactured to support the rare live appearances of Darkwood on their first US tour in the Spring of 2015.
excellent performance,it was pleasant to see Mario from Dies Natalis. Lyrics for track 4 "Nightwind" based upon the poems "The Night is Darkening around Me" and "The Wind I used to Hear it Swelling" by E. Brontë, and track 14 "Feuerkreis" based upon "Trompeten" by G. Trakl. Comes in a 4-panel Digipak with a transparent tray; no booklet, no lyrics. 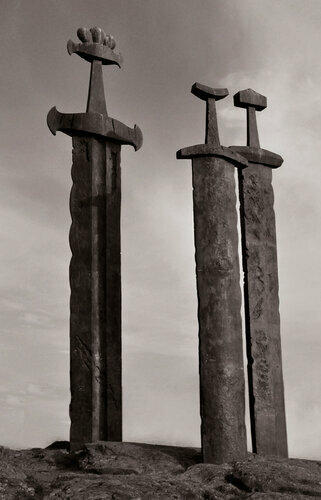 Does the Swords In Stone release will be availible to download here? A favorite of mine. Can anyone recommend any neofolk with a feel similar to Darkwood?